wow… that’s going to be a treasured item!! How do I get that pattern? It’s great! I fill the washer with cold water and about a quart of white vinegar to keep blue and red from running on the white when washed. I soaked in water and vinegar for about 4hours just to be safe. Rinsed and then washed. 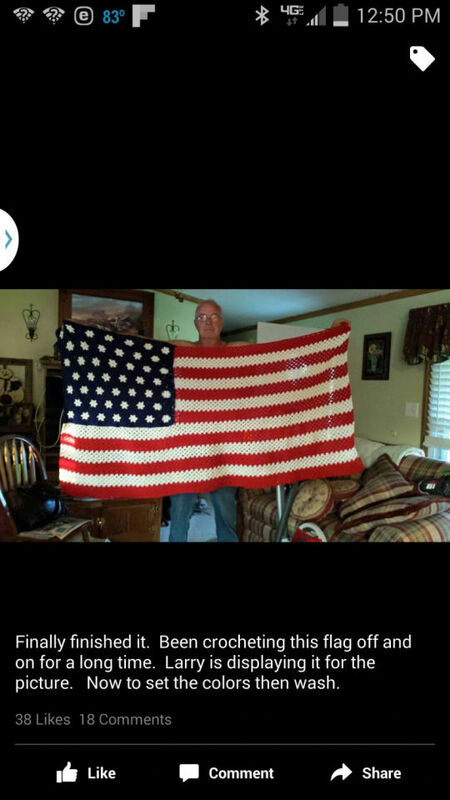 The pattern came from a book called ( our best Afghans A-Z) the pattern is called All American. And is by Linda Luder. It may be online.